As we all know, people live in and visit Incline mostly for its outdoor activities. That said, Incline Village shopping is a nice addition to the experience of this town and can provide pretty much anything that you might need, from the mundane to the exciting. Many of the Incline Village shops add to the beauty that's already a central drawing card here, with photography studios, home furnishings and accessories, gifts that reflect the personality of the area such as Tahoe-themed pendants, bear-themed items and handmade soaps, pottery and more. 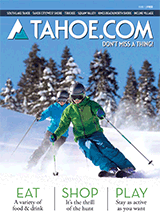 Of course, no self-respecting Tahoe town would be without great sporting goods stores, and Incline Village shopping toes the line. Knowledgeable staff at these stores help you oufit perfectly for your sport, be that snow related, biking, hiking or water oriented. 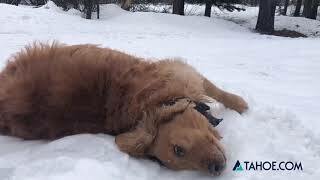 Other Incline Village stores take care of Fido with natural-focused foods and other products. And, since the California lifestyle of health and spirit consciousness is alive and well in this Nevada town, you can also count on shops that feature apparel, accessories, home decor and gifts that support you in your quest. After you get off the slopes or the lake, take some time to enjoy Incline Village shopping. Stop in for a cup of coffee or a craft beer when you get tired. Make a day of it!